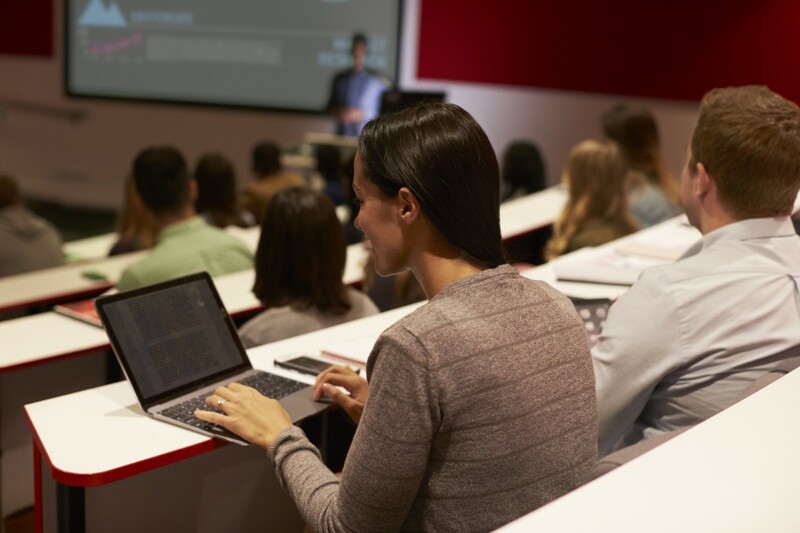 Disparate perspectives about the use of technology in the classroom have become commonplace in higher education discussions. Opponents of such technologies argue that they are distracting to everyone involved and can lead to worse classroom performance, leading some to propose banning them altogether . Proponents of such technologies point out that some technologies can enhance the classroom experience, and that banning technologies can hinder the performance of students with learning disabilities , and ostracize them. We come to this issue both as teachers, who want the best for our students, and as psychologists, who rely on scientific rigor and behavioral outcomes as evidence, such as learning performance. Many of the arguments used for educational technologies are based on anecdotes, not scientific data. To counter these arguments, we will provide recommendations that draw from decades of learning research -- sometimes from the laboratory and sometimes from the classroom -- about how students process, store and retrieve information. The evidence that technology use in the classroom can create a distraction, thereby hindering learning, is manifold. We could cite many studies that have demonstrated this effect, but here are just two. When students have free rein to use their cellphones in class, they perform half a grade lower  than when they don’t use their cellphones. (Cognitive psychologists explain these results as a product of divided attention and the myth of multitasking : that people think they can effectively pay attention to multiple stimuli at once.) And this distraction harms not only the user, but nearby classmates as well . Perhaps even more compelling evidence comes from true experiments. The beauty of true scientific experiments in this case is they rule out the chance that certain outcomes occur for certain people. Experimental evidence points out that students perform better on tests when they take notes on paper, rather than on a laptop . Studies like this have the added boon that they dodge the issue of distraction of the classroom -- another learning hindrance for sure -- because the experimental procedure made it so laptops could be used only for note taking. So, it’s not just distraction that’s the problem, it’s the actual process of taking notes on a computer that hurts learning. Presumably, this occurs because taking notes by hand is a slower process, and one which cannot possibly keep up with how fast people may present information verbally. Thus, in the process of note taking, students must interpret and actively think about the information they’re receiving. This type of behavior is rooted deeply in a phenomenon many educators prize called active learning, which has its roots in decades-old research on depth of processing  in memory. But lots of students like taking notes on a laptop. And what’s more, they perceive it to be an effective practice. What are we to do with these perspectives? Unfortunately, most people do not really understand the processes by which they learn (i.e., they lack metacognitive awareness). To provide just one example of this, among many others: many students reread material as an effort to study in preparation for an exam because they think this is an effective practice, and they engage in it regularly. But unfortunately, rereading is actually an ineffective studying practice . What’s the lesson, then? We can’t trust that what we do, or what we like, will be the most effective for us. Though it’s important to acknowledge the limits of technology in the classroom, we do not advocate banning technology altogether. One reason not to ban laptops is that some students may have learning disabilities or other accommodations that allow them to take notes much more effectively by computer. Trends show that such students are enrolling in college at increased rates . And it is both illegal and unethical to prevent students with accommodations from using their legally approved technologies in the classroom. Furthermore, a ban on technology in the classroom would require a student with a documented accommodation to eschew such a ban, thereby creating the possibility of revealing an invisible stigma . Instead, play to technology’s strengths in the classroom. For example, researchers in hundreds of studies have demonstrated that multimedia learning greatly increases students’ retention of course material. Multimedia learning  occurs when learners encode into their memory using both visual and auditory information, such as when they listen to an instructor discuss research and watch the instructor display the result of the research on the board. Recent research demonstrates the effectiveness of multimedia learning . There can also be cognitive benefits to using key technological aids, especially quizzing tools. Quizlet, a free online app , can be used both in and out of class to improve students’ study strategies and retention of course material. Quizlet allows students to make flash cards or view those of other students and use gamification (for example, matching games) to study course content. The app also allows for self-testing, which can help them determine how and what to study through metacognition. And there are lots of ways that technology can enhance other educational goals as well. For example, as professors, we are aware that students rarely check email. One way around this would be to text your students about the course. But who wants to give their cellphone number to their students? No one, or almost no one. Thankfully, apps like Remind  or Google Voice allow you to text your students without revealing everyone’s personal cellphone numbers. You can use these tools for learning-related reasons, like opening a dialogue about confusing class content. Or you can use them for other reasons that make sense for engaging your students, like notifying them of a canceled class during inclement weather. We realize that we may have done more to complicate decisions about technology in the classroom than to simplify them. But we’re scientists, and when you follow scientific results, instead of yes or no answers, what you often get is “it depends.” And it does depend. There’s a lot of nuance to understanding student learning and how to effectively use technology in the classroom. Don’t ban laptops, but do make sure laptops in the classroom minimize the likelihood of distracting others, such as by having these students sit on the edges of the classroom, or by coming up with other creative solutions that make sense for your classroom. Run all of your text material, such as syllabi, assignment descriptions and so on, through ereaders. This will help them hear how they sound for students who are visually impaired. You will be shocked by how the documents read, and inevitably, you will change your writing style to accommodate these students’ needs. When using videos in the classroom, use video captions whenever they are available. Doing so allows all students  to process the information better. Thus, this makes for better, more inclusive learning . In closing, we wish to leave you with a quotation by Bill Gates, who, if anyone, has championed the use of technology. “Technology is just a tool. In terms of getting the kids [students] working together and motivating them, the teacher is the most important.” Even he recognized the necessity for nuance in the use of technology in the classroom. Jordan D. Troisi  is an associate professor of psychology and co-director of the Center for Teaching at the University of the South. Aaron S. Richmond  is a professor of educational psychology and human development at Metropolitan State University of Denver.